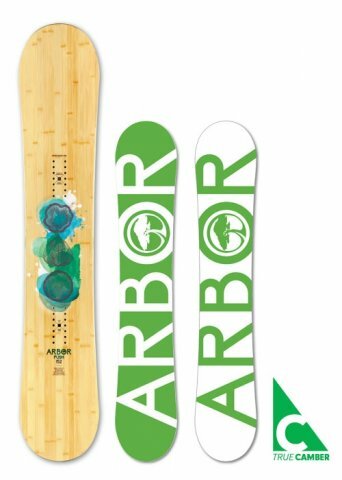 The Arbor Push is your friend If you are an advanced to the expert rider who likes groomers, speed, and steep terrain then you have found one of the best snowboards out there. The Push is not for mellow advanced riders. The Arbor Push is more for aggressive advanced to expert freeriders who like speed, working to make a good turn and live for powder days. How This Review Happened: We borrowed this for a day and then returned it. If you live for high speed carves on morning groomers but find yourself on the hill when it’s all rutted up the Arbor Push is going to be one of the better camber choices out there. The Push is very unique for the women’s freeride group. It’s one of the last true camber boards. We’d like to see Arbor add just a little bit of rocker in the nose to make it a mostly camber hybrid camber board but it’s still a great ride. On Snow Feel: The Arbor Push is all about well-groomed runs. It’s locked in feel is for those that understand the consequences of aggressive camber and excel in their ability to handle it. It’s not the kind of board for a playful freestyle approach to the mountain. It’s all about carving and bombing. Powder: The Push is not a powder specific board but it’slight taper and massive set back (2 inches!) keep it afloat even in the deep stuff. Camber still points down and wants to bury the nose so all of us at The Good Ride would really enjoy rocker in the nose to make this an effortless powder board. If that was done the Arbor Push would be even better than it is now. So, in summary, the float is as good as it gets for a camber board. Turn Initiation and Carving: This is not easy to throw around but we have to say that this does a great job for its style of board. If you compare this to other stiff camber boards in its class and size it turns the easiest. If you compare this to hybrid rocker or hybrid camber boards out of its class it is more difficult. We had a lot of fun making deep carves on fresh morning groomers and felt this is what the Arbor Push is made to do. It really springs out of a turn and helps you build speed into the next turn while still maintaining control. All in all this board did its job very well and we liked the way it rode. It was not easy but much easier than any board of this size we rode to make tight turns in rutted or mogul conditions. Uneven Terrain: The good thing about the Arbor Push is that it can handle chopped up groomers or uneven conditions a lot better than most boards in its class and riding style. We are not saying it’s going to be easy but it will be easier than some. Weight- The Arbor Push is pretty light and easy to handle on the chair lift. Edge Hold: We never felt the edge on the Push give out and we rode this in all conditions except for ice. A carving board should have a lot of grip and the Arbor Push does a great job here. Flex: The Arbor Push could be called stiff by some but we feel it’s between Medium and Stiff. We call this Aggressive which to us is on the forgiving side of outright stiff. If you know how to make a proper turn you will be able to handle this board. Switch: It’s less directional than you would think but it’s still no switch board. Jumps: Not bad off a natural kicker but it’s more for a method than a 540. Pipe: The Arbor Push has the edge hold to climb any pipe wall but it’s a big board so everything else isn’t so great. All in all, we found this to be a very fun semi-aggressive carving/freeride board. All who tried it liked it and no one had any complaints. 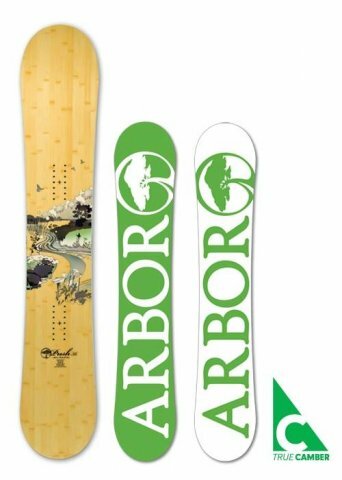 If you like to keep your board transitioning from one carve to another on wide open groomer runs then the Arbor Push is a great choice. We try to get as many images of the Arbor Push, but forgive us if they're not all there.